It is 4:52 PM. For my friend Jodi and Beth, the fact it is only eight minutes to 5 PM is insignificant. As for myself, I am trying to slice carrots for a chicken stir fry with chaos all around me anxiously waiting for 5:00 PM when Mr. Wonderful will rescue me. But for my mom friends flying solo, 5:00 PM is just that—another hour in the marathon days of being a mom to toddlers and preschoolers. My friend Jodi is a single mom to two girls. She faces everyday challenges that come in the form of balance. “I literally go to bed some nights and am in disbelief that I actually have to do it all over again the following day. Like some days I feel like I just ran a marathon. And then right before I finally go to sleep someone tells me ‘Oh, yeah, by the way, you’re running another marathon again tomorrow.’” Jodi shared how she could achieve balance by taking the “easy way out” such as allowing the TV to babysit her daughters or making frozen dinners every night for supper. “But that is lowering my standards and I can’t,” Jodi explains. For single moms like my friend Beth, it is rare to be without her two children except when she is working. 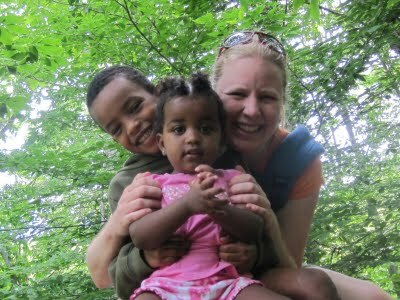 Beth adopted her children from Ethiopia. As moms we complain about feeling smothered or we plea for a break. Both Jodi and Beth work full time and rely on family members to watch their children. Running errands and socializing with friends are all activities they do with their little ones in tow. When we meet a single mom, how often does our mind revert to judgmental thoughts? Why is she single? What mistakes did she make? When we look deeper we realize we all struggle with similar things. Jodi shares, “I want them [my children] to learn from my mistakes. My goal is to be better than my parents were.” Most of us want that regardless if we are single or married. Have you ever referred to yourself as “a single” mom when your husband goes away on a business trip or takes a weekend away with the guys? Jodi says this is one thing that bothers her the most. “And while I do not try to judge people when they say things like that, that doesn’t compare to what single mothers go through and do. Hardly compares at all,” Jodi explains. shares. Remember that this might be the only “break” she gets in a week…or perhaps even longer. This entry was posted in Mom Stories and tagged moms, single moms. Bookmark the permalink. While raising our four boys, with a very helpful husband, I often wondered how single moms managed. They definitely need an extra measure of grace….and the practical suggestions you offer are one way of being an instrument in God giving them that. I heard a lot of pastor’s wives referring to themselves as single moms on Sundays. 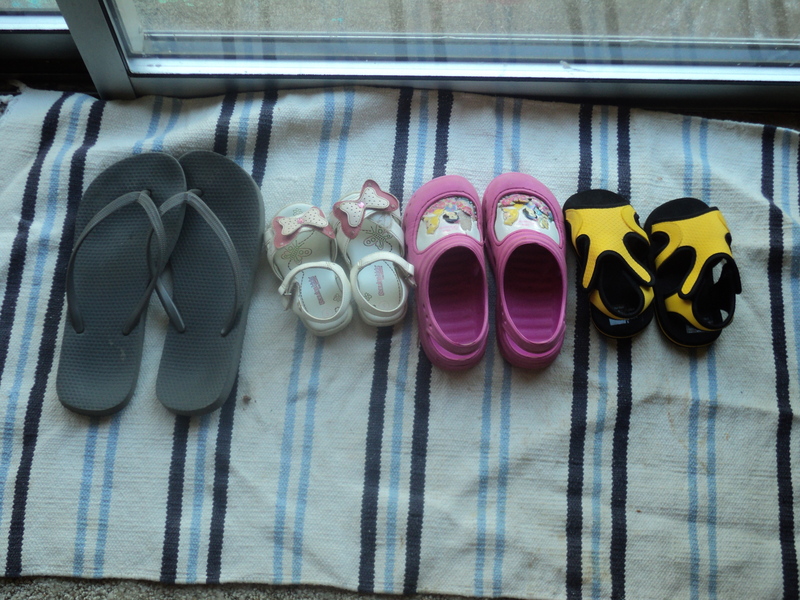 Then one PW made the point, “Wait a minute, girls, we have no idea what’s it like to be a single mom. We may have to get the kids ready on our own on Sunday mornings and don’t see our husband much on Sundays until after church. But it’s not the same thing at all.” Once I was confronted with this it helped me show more grace to my single mom friends. Thank you for reading. Blessing as you continue to be the best mom you can be and juggle everything that comes with being a single mom. Moms that are not single do not understand because they always have someone there to give them a break or help. Even if their husbands work all the time or their jobs require them to travel or they are military moms–someone will eventually come home. I would love to see more support groups out there for single moms. Even a single mom MOPS group that meets more of those needs.